PT Philips Indonesia, touch lives every day At Philips, we believe that technology should be advanced but simple at the same time. It should make sense and be designed around the way we live and work. Whether we’re creating a comfortable environment through sophisticated lighting and entertainment solution, giving a mother a first glimpse of her unborn child or the baby monitor that keeps children safe at night, we touch people’s lives all over the world through Philips products. So, this is a chance for you to be part of that experience and join the WINNING team. 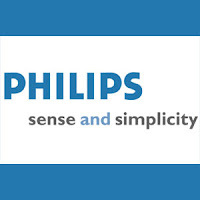 To ensure and additional requirement on specific product (innovative sales) refer to market potency; Enhance the competencies of Philips and dealer sales personnel's. At least 2 year(s) of working experience in B2B / B2C is required for this position. Quality of stored goods to minimize business risk, high accuracy stocks level. Implement proper storage structures (size, layout and facilities) for safe storage in handling of goods in accordance to ISO 14000 and SMK3 standards. Manage distribution of finished goods as per agreed lead times derived from customer requirements and cost derived from Business requirements and develop transportation strategy for local distribution.